PowerObjects helps Realief™ neuropathy centers reach new markets and expand operations with Microsoft Dynamics CRM in the cloud. Realief was looking for a CRM solution that would help them quickly scale their business. The company has realized tremendous benefits thanks to PowerObjects’ guidance and expertise with CRM. Generate new franchise opportunities throughout the U.S.
We are a growing company and needed a CRM solution that would respond to our current needs as well as adapt as our changing business environment. We looked at other online CRM solutions including Salesforce.com and decided Microsoft Dynamics CRM was the best fit due to its flexibility, and strong customization and integration capabilities. As the company began expanding its business across the country, they were looking for CRM to help develop and manage the sales and marketing of both the recruitment of new clinic franchisee opportunities as well as prospective patients. In order to help reach the goal of bringing 10-15 new franchisees on board, Realief needed an automated process to handle the marketing and lead generation efforts. “In order to successfully market and acquire new franchises, we needed a way to track and manage our continuous multi-touch marketing efforts and connect that to our call center for follow-up,” said Robert Weigel, Realief’s Vice President of Marketing and Sales. Now with the workflow in CRM in place, Relief can control the entire sales and marketing process from start to finish. “We can send a series of marketing touches and have any responses or leads from the campaigns go directly to our call center in real-time. Based on the type of responses, the call center can automatically follow-up using a set of dialogs or scripts we have generated ensuring that nothing falls through the cracks,” he added. In addition to using CRM to help in the recruitment of new franchise opportunities, Realief also needed a way to manage the complexities of the franchise process itself. There are many elements to franchising a business and PowerObjects also helped in customizing CRM to manage the prospective franchise recruitment process. “There are many steps and deadlines that need to be followed when signing on a new franchise and PowerObjects worked with us to help define our processes and workflows to meet the legal requirements for our franchise agreements,” said Walter. 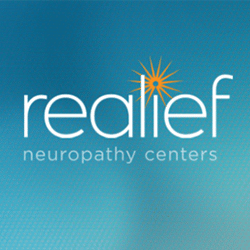 In order to help reach a large potential patient population of up to 50 million who suffer from neuropathy, Realief utilized the marketing component of Microsoft Dynamics CRM to help launch a national multi-touch nurture marketing campaign. “Part of our marketing process is to educate the target market about our services and how we can help.  We utilized the PowerMailChimp add-on email marketing engine which is integrated into CRM to create email templates, develop our marketing lists, send multiple emails and track our results right in Dynamics CRM,” said Weigel. Based on the response, Realief is able to specifically target each lead based on their response and tailor the follow-up communication whether by phone, email or direct mail. 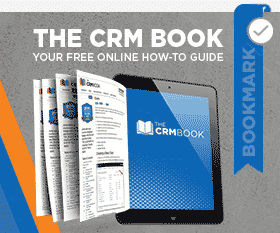 “CRM has allowed us be so much smarter about our sales and marketing which is invaluable. It allows us to gather the intelligence we need about each lead, track each response and generate the reports needed to see what’s happening in multiple locations and markets,” he added. Both Walter and Weigel agree that the company has realized tremendous benefits thanks to PowerObjects’ guidance and expertise with CRM. “The PowerObjects team is amazing. Throughout the entire process, they’ve understood our business requirements and have delivered every step of the way. They have the uncanny ability to know what needs to be done and the expertise to make it happen.  Working with PowerObjects has been a huge asset to our organization and we couldn’t have done it without them,” Weigel added.